Manchester United legend Ryan Giggs sees no problem with Wayne Rooney celebrating if he scores at Old Trafford on Super Sunday. 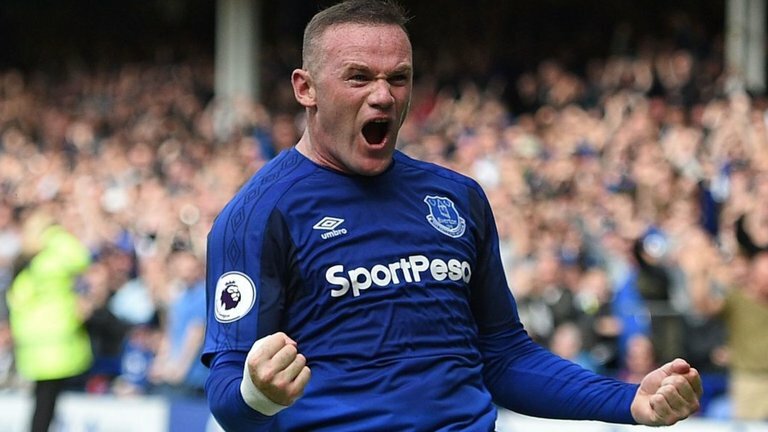 Rooney returned to his boyhood club Everton after 13 years of success at United and will be relishing the prospect of lining up against the club where he established himself as the all-time leading goalscorer, according to Giggs. The Salford City co-owner also believes that there is no reason why his former team-mate should not celebrate if he nets for the visitors. "If you score a goal, you hear players talk about, you sort of lose yourself and I don't think we should get away from that," he told Sky Sports. "Show respect, don't go over the top, but if you score a goal then celebrate. I think fans recognise that." Giggs is confident of a warm reception for the 31-year-old, who helped United land five Premier League titles, along with the Champions League, the Europa League, the Club World Cup and an FA Cup, but believes his focus will be on finding the net. "Knowing Wayne, I'm sure he'll be nervous, but relishing the chance as well and he'll want to score because that's his job," he added. "He'll get a great reception from the United fans because he was such a great player for United in such a successful era as well. "I'm sure he'll be looking forward to it and the United fans will be looking forward to seeing how he does as well, hoping he doesn't score and Wayne the opposite, hoping he does score."